The client intended to create a veterinary hospital within the empty space of an industrial warehouse. As it was a rented space and the owners didn’t want to modify the existing site, a light construction system, easy to build and to remove was required. New Housing in a seven-storey building, distinguished by the striking architectonic exterior. Delightful building, such a simple concept expressed through a bold sculptural treatment of the facade. 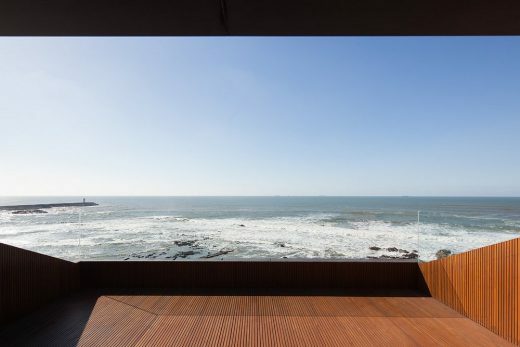 Located in the Portugal Northwest border, the Vila Nova de Cerveira House was designed for weekend use, promoting the relationship between interior and exterior, integrating the astonishing surroundings on a glass interior. Emphasizing the equilibrium with the surrounding morphology, the horizontal volumes contrast with the stone coating of the basement floor, on a material and chromatic counterpoint dialogue.